Are you brave enough to touch the Gruffalo's poisonous wart? Touch the Gruffalo's terrible tusks, feel his knobbly knees and tickle his purple prickles in this bold, eye-catching book with touch-and-feel elements on every page. 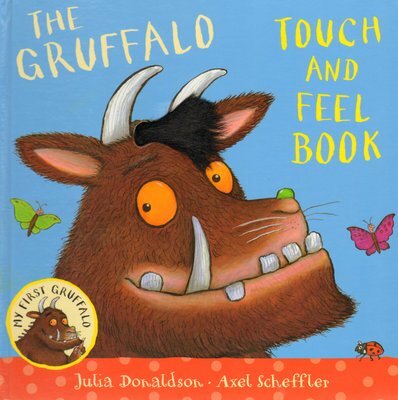 My First Gruffalo: Touch-and-Feel is part of the exciting My First Gruffalo series for babies and toddlers, based on the bestselling picture book by Julia Donaldson and Axel Scheffler.